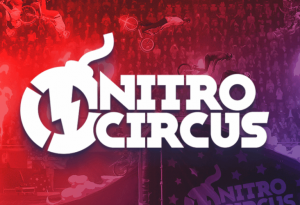 Nitro Circus by Yggdrasil is finally live! It’s perhaps the most anticipated game of the year. In fact, not only is this game the first branded slot by Yggdrasil. But it also promised to be rich in features and have mind-blowing animations! But what we didn’t know until it went live is how good this game would be! Not only in terms of feature but also in terms of RTP (97%) and max win! In fact, in this game, you can get your hands on as much as £250,000 if you play with the max bet. And since it’s a low volatility slot, you can take more risk than usual since the steady flow of small wins will keep your bankroll in the green. Ready to jump into the action and learn more about this game? Then wait no more and continue reading the below details! Bonuses & features: Achievement builder, Stunt bonus, Free Spins, Extra Wilds, and Multipliers. Highest-paying symbol: 5 Red Travis symbols on an active paylines reward you with 500 coins. Below you’ll find a quick highlight of some of the best features in Nitro Circus according to us. But, as always we’ll invite you to read the paytable or try the game to know more about them! Collect N-I-T-R-O and pick your ride! Perhaps the most innovative game feature in Nitro Circus is the Nitro Jump feature! You’ll trigger this bonus after spelling Nitro with the letters that appear on the reels. So, after spelling the word, you’re invited to pick the ride you’ll use to perform stunts with. You can either choose to ride an FMX, a BMX or a Scooter. Each vehicle has its own ability and performs differently in terms of tricks, boost and size. But no matter what you choose to jump the ramp with, you’ll collect symbols to unlock different rides, Multipliers, Coins and even Speed boost. The Speed Boost will come handy on your final jump where you’ll win a multiplier. After loading the game, you’ll notice an achievement builder on the right-hand side of the reels. You’ll fill up the 4 meters either by collecting symbols via the Nitro Jump feature or with Nitro Bombs in the Free Spins bonus. To trigger the Free Spins bonus, you’ll need 3 Nitro Bombs to land in view in the base game. The maximum amount of Free games you can play in this feature is 30 at once! Nitro Circus is a cool game! Sure it’s different then what we usually see coming out of Yggdrasil studio because the design is somewhat photorealist. Yet, Yggdrasil managed to keep its graphics signature in the bonus features that are more thrilling than ever! What’s more is that the more you play Nitro Circus, the more you’ll progress and the bigger chances you’ll have to collect the max win, since you’ll unlock better rides to perform stunts with. And because this game has a high RTP and a low volatility, you can expect to have a long casino session even with a small deposit if you place your bets. Join the action now at any casinos listed on this page and have fun!